DIY Composting is becoming more and more popular. 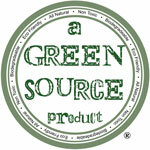 Instead of buying bags of commercial compost from the local garden center more and more households are turning their kitchen and garden organic matter and vegetable waste into a nutrient-rich humus material that results when these organic waste materials are converted into beneficial soil additives that is essentially a living soil life that is bursting with nutrients. Best of all, making your own compost is a fairly simple way to turn what is traditionally considered to be waste materials into a valuable resource that can be added to gardens and flower beds. This 10 gallon tea brewer features a patented design, industrial grade components, easy maintenance and fine bubble diffusion technology. Fine bubble diffusion technology is a constant dynamic aeration process. Each fine bubble diffusion aeration disc has more than 4,000 engineered perforations that provide consistent air bubble size and velocity. This constant aeration process ensures maximum oxygen transfer efficiency, creating an optimum environment for reproduction of beneficial microorganisms. 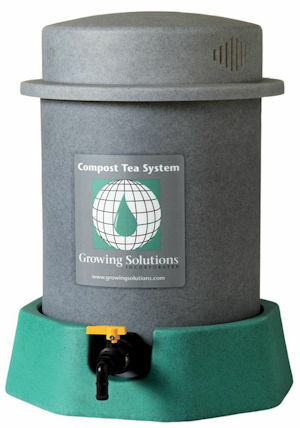 The compost tea solution is thoroughly mixed by the fine bubble diffusion aeration process inside the tank, eliminating the need for external agitation. Each disc's perforations self-seal when the system is off, preventing back flow of compost tea into the air manifold. More than 4,000 1mm perforations in our fine bubble diffusion discs ensure optimum oxygen levels are maintained while providing thorough mixing of the compost tea solution.